For merchants who sell products or services via their website, there are a plethora of methods to add a payment form. Choosing on that facilitates ACH website payments narrows the available options. In some cases the ACH payment functionality might be available, but at a costs that is not advantageous for the merchant. 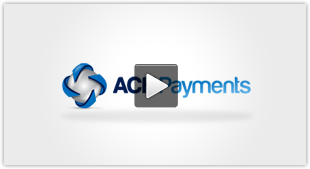 Here are some tips for adding ACH payments functionality to a website. First, identify and make a list of potential ACH payment facilitators. Processing costs can be a driving factor, especially depending on the average sale price of products or services sold for a given website. Some vendor organizations price their ACH processing based on a discount fee. In other words, they apply a percentage to the sale price to determine what the cost of processing per transaction will be. This model is beneficial to the processor because it mitigates risk in an automated fashion because the processing rate climbs as with an increased selling price. For example, a website that sells a product or service at $65 might be charged something like .08% of that transaction amount. In short, the ACH transaction cost per item would be 52 cents. For a credit-worthy merchant in a business category of low risk, this would amount to higher processing fees than what they might else be able to obtain. In fact, almost double that of some ACH processing vendors might charge. Another model available would be a flat rate model where instead of a discount fee being applied there is a flat per transaction rate that spans product and service selling prices. A model like this relies on a more thorough underwriting review than the discount fee model. In short, if a merchant is determined to sell products or services deemed of a low risk variety, they would end up with ACH processing rates that are lower for average selling prices that are less than ~$35, assuming most standard flat rate models. There are some processing vendors that will also adjust their flat rate model to accommodate transaction amounts that are low, e.g., less than $35 with even lower processing costs, assuming the product or service risk model warrants it. 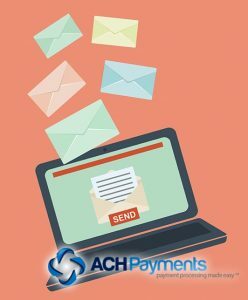 There’s no question that utilizing ACH for website payments can be advantageous for some merchant organizations. The key is to find the best fit for your website payments. Consult with potential vendors and let them know exactly what is is that you sell and to whom. It’s the details that add up to determining a merchant’s risk profile, and ultimately what would be your per transaction processing costs for a flat rate model.